Should I buy a home that has a popcorn ceiling? Many older homes have a popcorn ceiling in one or more areas. If you purchase the home, you’ll probably consider removing the popcorn ceiling simply because it’s a style that went out of fashion decades ago, but you may be wondering about whether it actually poses safety problems. You may be wondering why popcorn ceiling could be considered dangerous. Many people don’t know that popcorn ceilings almost always contain asbestos, but it’s true. 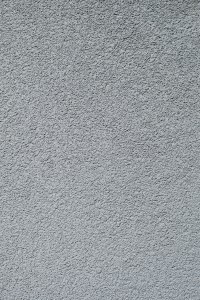 Popcorn ceiling is also known as acoustic ceiling. It was a very popular kind of ceiling throughout the 1950s until 1978, when the US government banned them because it allowed builders to hide bad sheet rock installations, and because asbestos exposure was found to be harmful. 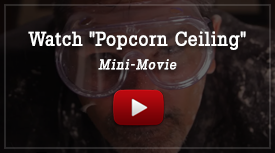 Now for the question immediately at hand – should you buy a home that has a popcorn ceiling? Well, it depends. Are you willing to take care of removing it? Because it definitely should be removed to prevent the risk of asbestos exposure. Effects of asbestos exposure often aren’t seen for many years – decades, even – and scientific studies have found that it can lead to asbestosis, lung cancer, mesothelioma, and other serious conditions. So avoiding asbestos exposure is extremely important for the continued health of you and your family. But thankfully getting the popcorn ceiling removed won’t be a big ordeal. Simply call the asbestos removal experts at H2 Environmental Consulting Services! We’ll take care of every detail of your asbestos removal project, including determining exactly where the asbestos is present in your home. The popcorn ceiling and any other materials that contain asbestos will be properly removed in the safest, most effective and efficient manner possible. We implement many safety tools to ensure asbestos contamination does not occur during the removal process. We isolate the area that has asbestos in it, and filter all air with special machinery that contains the asbestos particles in the air for proper disposal. Our removal specialists use special clothing and we use sealed plastic bags for completely safe disposal of all items that contain asbestos. We follow all federal and state regulations about asbestos remove and disposal to the letter, so you can always be certain that the proper protocols will be followed by our asbestos removal team. H2 Environmental Consulting Services is Southern California’s premiere asbestos removal company. Schedule an appointment right away by calling (800) 524-3578 or emailing CustomerService@H2Env.com. We look forward to meeting and perhaps even exceeding your expectations when we remove the asbestos from your new home. We hope you enjoy settling into your new, asbestos-free home. Happy moving!